Author Michael Barnes is this week’s guest. 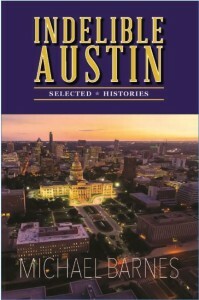 He’ll be talking about his new book, Indelible Austin: Selected Histories (Waterloo Press 2015). Writing On the Air airs Wednesday from 6-7 pm CST on 91.7FM KOOP. You can hear us online, live from anywhere via “Listen Here” above, or visit KOOP.org and tap the mini-player at the top of the page. We’re also on TuneIn.com. If you’re in Austin, just tune your radio to 91.7FM. If you’d like to hear previous episodes, try the search bar above, or just scroll through the shows below. The audios are available on each page. If you prefer, you can listen to our podcast via iTunes. We invite you to keep up with us on Facebook and Twitter. 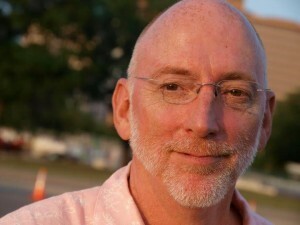 Michael Barnes was born in Texas and earned his Ph.D. from the University of Texas at Austin. He writes about Austin’s people, places, culture and history for the Austin American-Statesman. He also writes their “Out and About” social column and blog. Michael’s new book, Indelible Austin: Selected Histories collects several dozen of his historical columns originally published by the Austin American-Statesman. The notion of publishing a book grew out of frequent reader requests for a collected version of these stories which have not been covered in standard histories of Austin. The columns connect Old Austin with New Austin and almost always bring the historical record into the present. 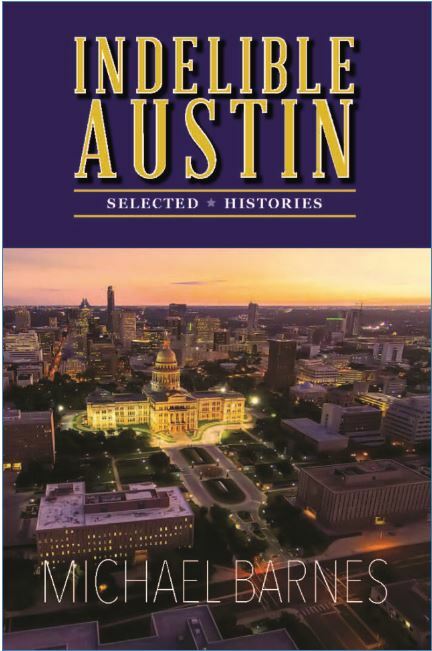 Themes include the natural settings, built environments, older neighborhoods, ancestral families, park gems, the meeting of politics, cultures and charity, as well as interpretations of how Old and New Austin relate. For more on Michael, you can keep up with him on Twitter, Facebook and Instagram.